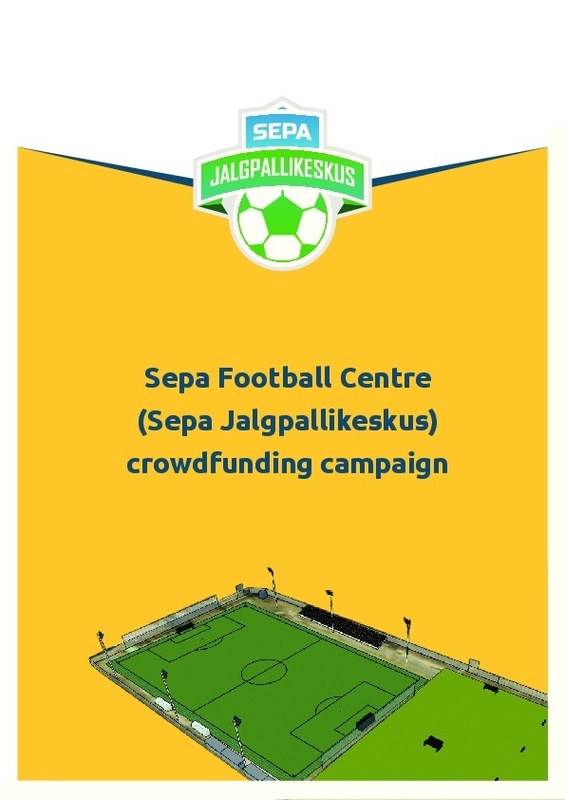 Sepa Football Centre (Sepa Jalgpallikeskus) crowdfunding campaign was a successful crowdfunding campaign which raised 150,000€ from 3108 donators in a period of 71 days from November 2015 to January 2016. The aim of the campaign was to build a new football training centre in Tartu, Estonia. It is up to date the biggest crowdfunding campaign in the history of Estonian sports and first of its kind in the whole world. The campaign was organized by Jalgpallikool Tammeka, a non-profit football club. Its marketing activities were planned and carried out by a community team with background in volunteering and youth football.